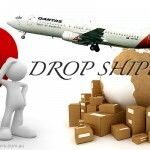 What is drop shipping and how it works in Australia? Lower Capital Requirements: You do not need to spend thousands of dollars to purchase large quantity of stock since you only need to purchase a product when a customer places their order. Wider Product Selection: Since you do not need to tie up your available capital with specific products, you are able to offer your customers a wider selection of products. Location Independence: You can drop ship from virtually any location in the world as long as there is internet access. This is why dropshipping can is so lucrative. 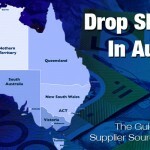 Australians can sell domestically using Australian dropship suppliers; sell domestically using international suppliers who ship globally, or even sell internationally using international drop shipping suppliers. High Scalability: Scaling a drop shipping business is much easier compared to scaling a traditional retail business. manufacturer directly and they might point you to several authorised distributors. Once you get in touch with the distributors, ask them if they would be willing to drop ship the product(s) for you. Search on Google: You can also land some good drop shipping prospects by searching on the Internet. You, however, have to dig deep because many manufacturers and wholesalers are not known to be particularly keen on SEO. You might have to dig through 5-10 pages of mostly irrelevant or even spammy listings before you come across what you need. Subscribe to a Directory: Whereas there are literally hundreds of drop shipping directories online, many are low-quality and will lead you on a wild goose chase. 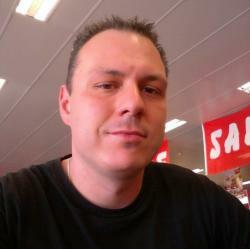 There are, however, a few reputable ones such as the SaleHoo Wholesaler and Dropshipper Directory. This is a good resource with a large searchable database of over 8,000 global pre-screened wholesale and drop shipping companies. The reason why this directory is the most popular amongst Australian online traders is that it actually features a good number of Australian companies and also because around 75% of the 8,000 suppliers are willing to work with international resellers. A lot of the current high traffic and popular Australian online stores such as Deals Direct, oo.com.au, Crazy sales and others are sourcing their products from this directory. Once you identify a company that you can work with, you will need to check their fees. Dropshippers typically charge two types of fees: Per Order Fee and Monthly Fees. A Per Order Fee covers the expense involved with packaging and shipping of the product. The fees are usually in the range of $2-$5, though they can be higher for very large items or items that are difficult to process. Some drop shippers might charge monthly ongoing fees for the privilege of working with them. But, be forewarned: very often, this is an indication of a poor quality drop shipper or even a fake one. Legitimate drop shippers rarely require you to pay an ongoing monthly fee. Should you come across such a drop shipper, take it as a red flag and give them a wide berth. Some legitimate drop shippers sometimes do require a minimum purchase size usually for your first order or minimum monthly order. If you fail to meet this threshold, the drop shipper will charge you a certain fee. They usually do this to filter out non-serious businesses that might cause them more trouble than they are worth. 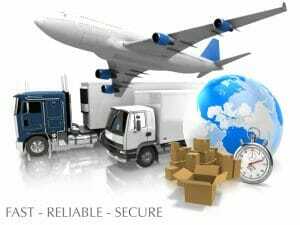 Timely, Secure and Safe dropshipping. world. You should also bear in mind that this will influence how you will design your shopping cart. Accounts: Ask the company whether it will automatically debit your credit on each order or will allow monthly payment terms. It’s not likely that the company will allow you credit when you are getting started, but some might do it later once you become a dependable customer. Refunds, Returns & Support: Your customers might return products if the drop shipping company ships them something different from what they ordered. Ask the company about its returns policy, what support they offer and the types of guarantees they give on their products. Make sure you get this information in writing or an email. Applying for an ABN is free. All you need to do is visit the Australian Business Register and register online. 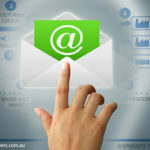 If you are looking to run multiple websites as separate dropship businesses, you will need an Australian Company Number (ACN). To apply for an ACN, visit the ASIC (Australian Securities and Investment Committee) website. You can sell your drop shipped products virtually anywhere. 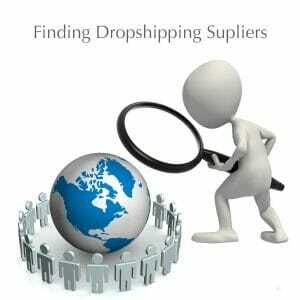 Popular sites such as eBay and Amazon use the drop shipping model to fulfil customer orders so you can sell there too. But, to increase your chances of building a scalable and profitable drop shipping business, it’s usually better to build your own eCommerce site. 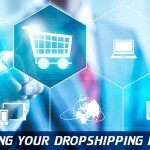 Is Drop Shipping A Profitable Business? The kind of profits you can make with a drop shipping business largely depends on the niche you are involved in. Expensive products such as electronics typically have thin margins in the range of 5%-10%. Low-priced accessories, however, can sport much higher margins in the range of 50%-100%. Your profit margins will also largely depend on your ability to offer value to your customers, which will allow you to charge premium prices for your products. How much money you actually make from your drop shipping business will depend on your commitment and hard work. By picking a good niche and the right drop shipping approach, it is entirely possible to build a business that provides you with a six-figure income. 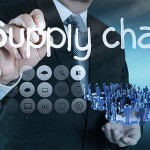 Can Retailers Be Drop Shipping Suppliers ?